A customer in Hawthorn this week had a problem with low temperature hot water to an upstairs bathroom and poor water supply in the shower recess. The home was only about eight years old with new plumbing throughout. 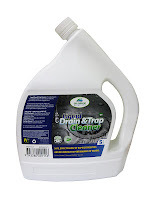 After much diagnosis re checking shower roses and clearing of debris in shower filters and basin aerators, the poor water supply and low temperature was improved but still present. The home was supplied by a continuous mains pressure hot water unit with a Tempering Mixing Valve fitted to the side. After further testing this Tempering Mixing Valve was found to be faulty. The valve internals themselves cannot be serviced. If the valve fails it must be replaced. The function of the valve can be checked by measuring the temperature of the water at an outlet nearest to the valve. If the temperature is within +/-2C of the initial set temperature, the valve is functioning correctly. If the temperature has changed by more than +/-2C it is likely due to a build up of debris in the strainers or a change in the supply condition. The device is designed to be installed at or near a hot water heater. 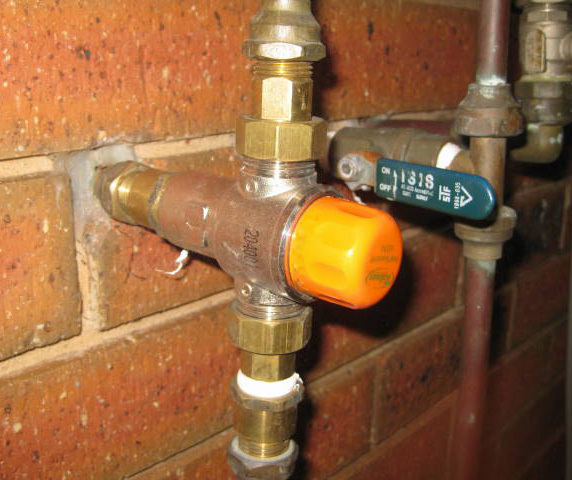 When installing at or near a hot water heater be sure to have the valve mounted below the hot water temperature line. This will keep the Tempering Valve from by-passing and going to high temperature, in the event that debris has clogged the control cartridge or screens. Annual inspection and maintenance is required of all plumbing system components. To ensure proper performance and maximum life, this product must be subject to regular inspection, testing and cleaning. The device can be installed in any position. The inlet hot supply is to be connected to the “H” side of the valve and the cold supply side to the “C” side. A new valve that was appropriate to the household plumbing conditions was supplied and fitted. The plumbing was purged and the new valve temperature supply adjusted to suit. The Hawthorn customer was relieved and satisfied with the outcome and knows what to look out for in the future re maintenance to their hot water supply.